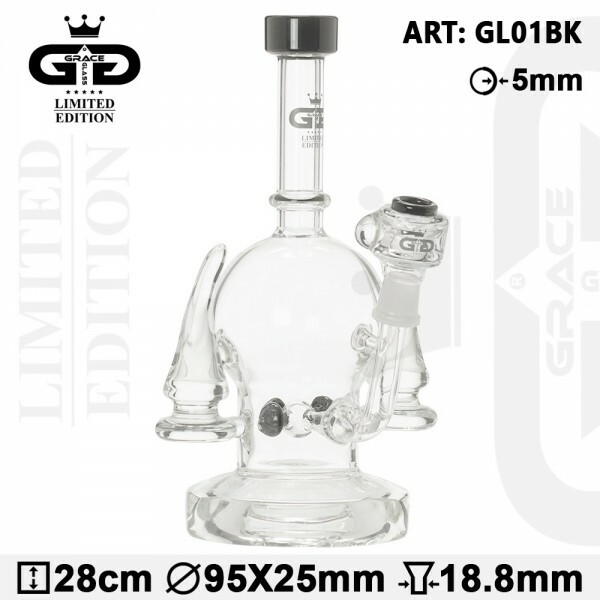 Black Devil is one of the latest Grace Glass Bongs! The bong is decorated with two horns on the sides. A percolator will bubble up your smoke before the latter reaches your mouth.